After a 4-year sabbatical – in which he dodged a hobbit-sized bullet – director Guillermo del Toro is back with a movie that will draw in the crowds with its large-scale battles, while offering much more than its action-heavy trailers suggest thanks to some original ideas and solid performances. So don’t dismiss Pacific Rim as just another Monsters vs Robots film, the child of Transformers and Godzilla, or you’ll be doing yourself a real disservice. Instead of taking the traditional ‘aliens descend from the sky’ route, Pacific Rim’s baddies – enormous monsters called Kaiju – enter our world through an inter-dimensional rift in the Pacific Ocean. After a series of attacks makes the Kaiju’s intent clear, humanity responds by uniting to build Jaegers – equally monstrous giant robots that can only be controlled by two humans simultaneously (more on this later) – to combat the threat. The premise – as well as the legitimacy of the threat – is established in a breezy opening 15 minutes, dealing with the exposition efficiently. Let’s get the obvious out of the way: Pacific Rim features some of the best action you’ll see this year. Both the Jaegers and the Kaiju look positively massive, and their weight is felt when they pound each other whether it be on land, in hurricanes, or in the air. 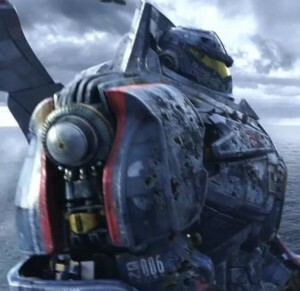 The set-pieces are thrilling – an extended battle between principal Jaeger, Gypsy Danger, and two merciless Kaiju in Hong Kong is particularly breath-taking – and under del Toro’s assured direction, it’s all articulate. On top of that, his decision to use as many practical effects as possible pays off and, together with the impressive CGI and 3D, ensures Pacific Rim is quickly immersive. Whilst a deep world is established, it’s not explored in quite the depth it could, and perhaps should, have been. The concept of the ‘drift’ – whereby the two pilots partake in a neural handshake and share each others’ memories – is an interesting one, full of possibilities. However, instead of exploring all it might mean, its use here is selective, serving plot more than character. It’s easy to accept Pacific Rim’s characters at face value, though more depth would have benefited the film as a whole. For instance, it might have been nice to know how characters came to be part of the resistance, rather than just seeing them fulfil their roles to varying degrees of obedience. Of the non-robot cast, Idris Elba shines as Marshall Stacker Pentecost (best character name of 2013! ), imbuing the leader of the resistance with just the right amount of gravitas. Truly, this is someone you would follow into battle. Additionally, Pentecost’s relationship with Mako (a solid turn by Rinko Kikuchi) is well written, offering up some sweet moments. Charlie Hunnam is also capable in the lead role of tortured pilot Raleigh Becket, but unfortunately the character is saddled with much of the film’s cheesy dialogue. 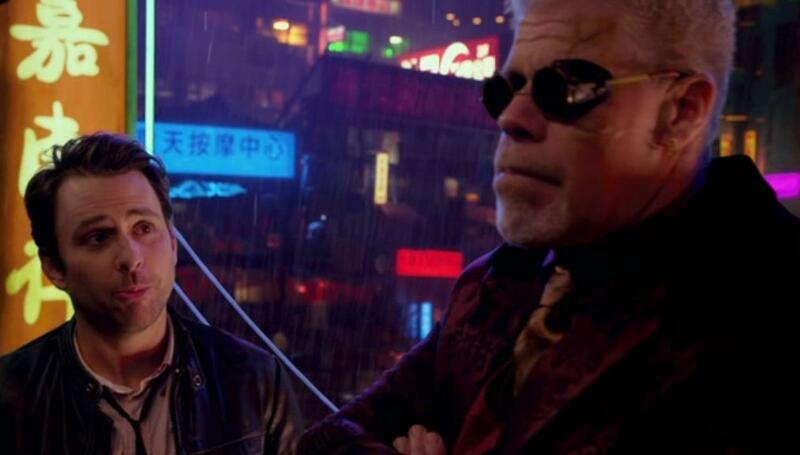 On the comedic side of things Ron Perlman – clad in what are perhaps the most stylish shoes seen in a film this year – is good fun as black market dealer Hannibal Chow, whilst Charlie Day and Burn Gorman also make good use of their screen time. Any last words? It’s often said blockbusters should be fun, and Pacific Rim certainly offers plenty of that. Although it could have done with more character and concept development, this is one Monsters vs Robots movie you won’t want to miss. Check out our video interviews from the Pacific Rim premiere, by clicking here. Film journalist based in Watford. Watch an unhealthy amount of films and television. Particularly love great superhero movies. Geek. Video mashup creator. Can also do a pretty good Bane impersonation. Follow me on twitter @awarmann. Or I will break you.